An air purifier system from RainSoft will eliminate contaminants, allergens, and odors from the air in your home in Tampa, Florida. For all of your home air treatment needs, you can turn to RainSoft with confidence. Founded in 1953, RainSoft has firmly established itself as an industry leader that differentiates itself by providing outstanding customer service. And, with products assembled in the U.S.A. and backed by a Limited Lifetime Warranty, RainSoft will ensure that you’ll never have to purchase another air purifier for your home. Pets shed fur and produce dander. Cigarettes and cigars release toxins into the air. Cleaning products and paints contain volatile organize compounds (VOCs) that tend to linger. Moisture can foster the development of mold and mold spores. Pollen and other allergens can blow in through open windows and doors. If a home has a forced-air heating and cooling system without an air purifier, these contaminants and more are continually circulated without the introduction fresh outdoor air, thanks in part to today’s tight home sealants that optimize energy efficiency. 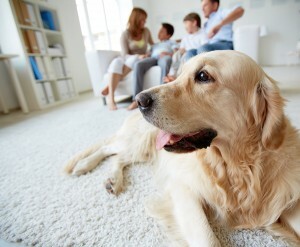 This is how the air in a home can end up having a higher concentration of airborne contaminants than the air outdoors. In general, indoor air contaminants are not very harmful to the average healthy person, but they can cause a host of problems for children, the elderly, allergy and asthma sufferers, and anyone else with respiratory difficulties. Plus, pesky household odors can affect just about anyone. Reducing the level of airborne contaminants can help address these problems, and the RainSoft AirMaster Ultra home air purifier is up to the task. In this premium air purifier, RainSoft incorporated ultraviolet (UV) technology that is capable of rendering certain microorganisms sterile, and thus harmless. As the home’s heating and cooling system sends the indoor air through the system, the air is bathed in UV light to eliminate the potential harm of any airborne viruses and bacteria. The cleaned air then flows under an Ozone lamp that effectively neutralizes any residual odors. The end result is fresh, clean air circulated continually throughout the home. To learn more about the benefits of purchasing a RainSoft air purifier for your household in Tampa, FL, please contact an authorized RainSoft dealer today.